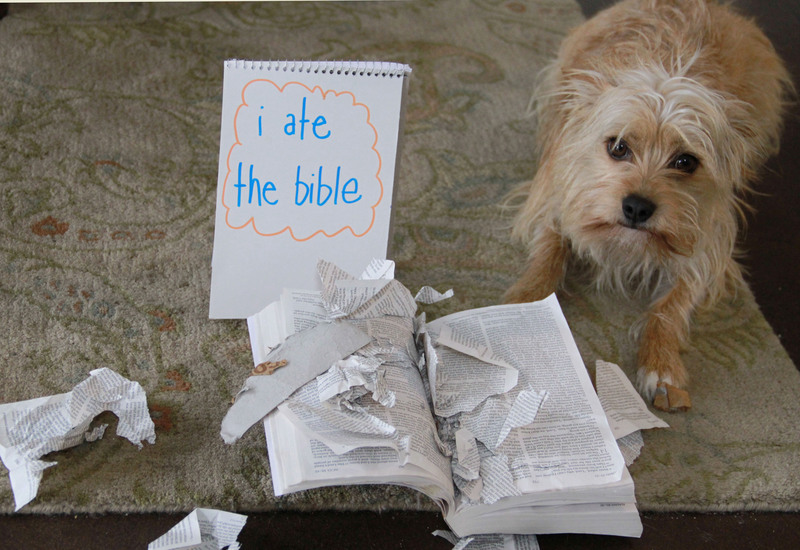 The ultimate sin….our lil rescue pup Sammy decided to eat the bible! If mine was in reach my rescue puppy would do the same! He is going thru my shoes one by one 🙂 love it!!! Don’t worry, Sammy, God forgives you. You’re so cute! He was just obeying Jeremiah 15:16. Good boy, Sammy! How is it that Noah did not take any dogs?! This book is totally incorrect!! Hahaah he is NOT ashamed at all!